Stella Sweeney is back in Dublin. After living the dream in New York for a year - touring her self-help book, appearing on talk shows all over the USA and living it up in her 10-room duplex on the Upper West Side - she's back to normality with a bang. And she's got writer's block. Stella wants a clean break as she didn't exactly leave New York on a high. Why is she back in Ireland so soon? Who is it who keeps calling? Stella wants to get back to being the woman she used to be. But can she? And should she? 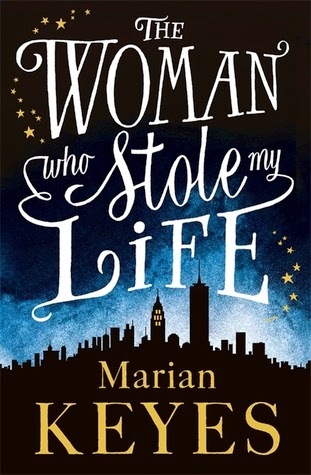 I have been a fan of Marian Keyes for quite a few years, I was introduced to her writing after finding Cecelia Ahern (one of my favourite authors of all time). So when I was offered the chance to pick up a new one from Marian, I couldn't say no. This was definitely an interesting story, I liked the back and forth from past to present, it really shows how Stella's life was completely changed with one relatively small event. The book opens up with Stella talking about her life now, how she has moved back to Dublin, and there is a whole story she is trying to keep hidden from everyone, slowly everything unravels about how she became a self-help writer. I found this to be a cute story, and at the same time a story about perseverance. One day Stella wakes up and cannot move and finds herself in a hospital because of a rare disease she has that has completely kept her from functioning, the only way that Stella can communicate is by blinking. Stella is close to giving up but day by day she finds the courage to keep trying. What I really thought was interesting about the before and after scenarios is how readers get to see how the disease affected Stella's family as a whole. Her relationships with her children, her sister, parents, and her husband all change significantly because of her time in the hospital. This is the type of book that you have to be careful what you mention, because it can give a lot away about the story and I hate doing that. Stella's life has been completely changed and it really makes her rethink a lot about the past and where her future will lead. It's the type of book that will make you think about how you would act if in opportunity is thrown at you, would you jump at the chance, especially when there are many other people in your life that the decision will affect. I will admit that there were a few times I was confused as to where in Stella's life the story was. There wasn't always a clear distinction (that I could tell) as to what was happening and if I was reading part of Stella's past or her present, it took me some time to figure out where in Stella's life I was. The only clear distinction was the part of the story when Stella was in the hospital and how she coped, those were the parts I really loved, because you got to see her truly scared and unsure of what her future would be. Honestly, this is a large book but it is hard to put down. If you are a fan of those cute romantic comedies, and you like your chick-lit, I definitely think this is a book to pick up. Give it a try because there is a lot more to the story than the underlying love story, this is a story about fighting for what you believe in, and persevering through tough times.